Many theories exist regarding the unique nature of the flora and fauna on the Galapagos islands. A popularly held belief is that the original species that evolved into the unique Galapagos variety found their way to the islands on flotation rafts of vegetation and other waste and were carried to the island via wind and sea currents. 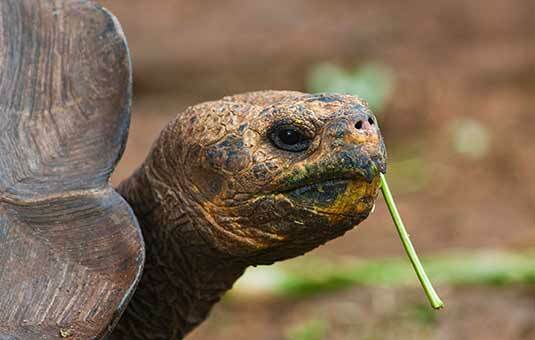 What Makes Galapagos' Wildlife so Remarkable? Compared to the enormity of the Amazon Basin, Galapagos is a very small archipelago lost far out in the ocean. To give one illustration, the Amazon is home to over three hundred species of reptiles: Galapagos has only iguanas, tortoises, lava lizards, geckos and snakes. The total is fewer than ten if you don't count all of the different sub-species and under 25 even if you use the most generous count. Can they really be compared? The natural value of the Galapagos Islands does not lie in diversity: in fact, it's just the opposite. Galapagos is a harsh, remote land, and the species that arrived there did not survive by diversifying, but rather by evolving specific traits to suit a certain niche in the environment. 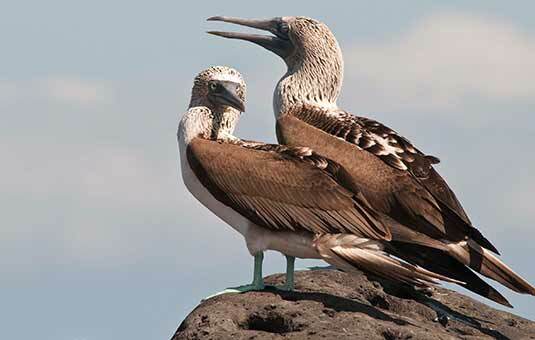 Although natural selection takes place all over the globe, nowhere is it more evident than in the Galapagos Islands. It is this status as a "Laboratory of Evolution" and its historical inspiration of naturalist Charles Darwin that make Galapagos special. The Galapagos Islands are also extremely pristine: no other place on earth is as free of introduced and invasive species. Galapagos is also extraordinary because of the unique experience one has while visiting it. Because it was so isolated for so long, Galapagos wildlife never developed a fear of humans. In the Amazon, it's nearly impossible to see large animals such as a jaguar, whereas in Galapagos you need to watch your step or you may inadvertently tread on native wildlife! Whether in the sea staring into the violet straight pupil of an octopus, observing a marine iguana washed by waves gnawing at algae, or facing a serene wizened tortoise-- any visitor to the Galapagos Islands can not help but ponder, "how did such creatures come into existence?" And they would not be the first. "Considering the small size of these islands, we feel the more astonished at the number of their aboriginal beings, and at their confined range... Hence, both in space and time, we seem to be brought somewhere near to that great fact, that mystery of mysteries --the appearance of the new beings on this earth." Charles Darwin, 1845. In such a harsh and unforgiving environment, it is difficult to believe that the flora and fauna arriving by chance at these islands had any hope to establish a dynasty of descendents. However the fact remains, bringing more wonder during you tour, that life does exist with such diversity in an environment that seems to offer so little. Certainly, many of the initial arrivals to the islands did not come at an opportune time: at a time without a mate to greet them, without a plant to feed on, without a bit of soil to put down roots. Often, over the millions of years that chance brought birds in a storm, sea lions and penguins in currents, seeds across from the continent, the first life to remain would have been "pioneer" species. These species are those that can exist out of seemly nothing, such as plants growing out of lava. They survive to die and leave their organic material for the next wave of immigrants --feeding the next flora, the next vegetarian creature. 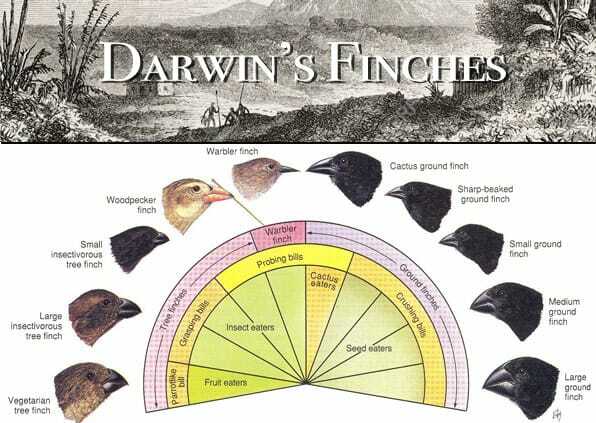 Darwin's observations, specifically on what are now called "Darwin's Finches" and their adaptations eventually provided the basis for his Theory of Natural Selection. 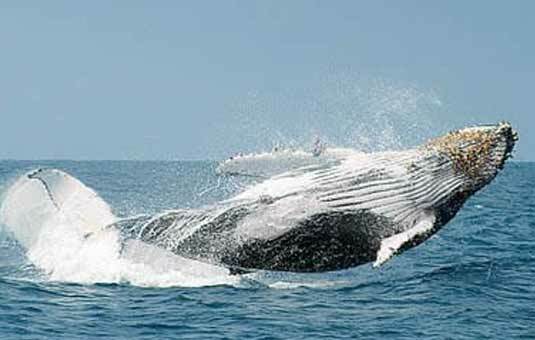 At the time, it was a dynamic departure from the commonly held belief that species were static. Explained briefly, the concept of the evolution of species is based on a number of characteristics of survival and reproduction. In most populations, the number of species is larger than the available resources and competition is inevitable. Within the normal variation that occurs in species, occasionally a mutation or difference will occur that will be somehow advantagous to survival or breeding, and those with the positive change will have a greater number of offspring. As the offspring are likely to receive these same genetic advantages, they also will be more likely to survive and pass on their genes. 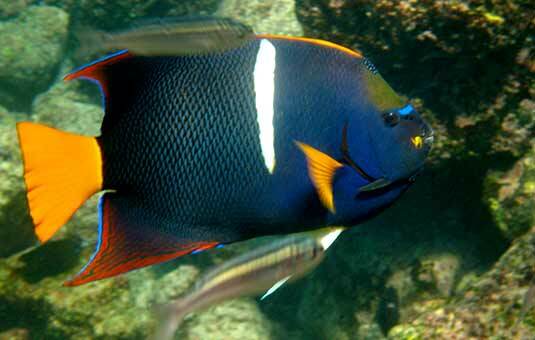 Those best adapted to their environment,most specified and adaptive, will survive. After years of isolation on the Galapagos, where small populations of a species must have existed, adaptations within that species would be more drastic as there was no large mainstream population to act as a buffer for variations. Often, variations of an ancestor are apparent. The land iguanas of Santa Fe, distinct in their yellow color, like their cousins on other islands, have adapted to eat cactus, spines and all. Their second cousins, the marine iguanas, perhaps adapted to eat from the sea, avoiding the competition on land. The most famous example are the 13 species of Darwin's finches, all stemming from a single ancestor, and adapting to such varying diets as cactus, parasites and even blood. The process of adaptation is well documented in Jonathan Weiner's "The Beak of the Finch," published by Vintage Books.